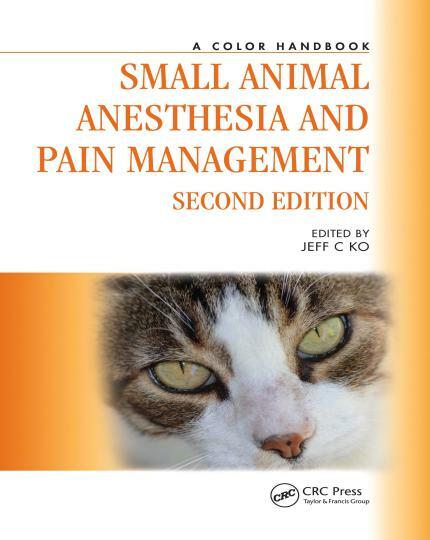 In this second edition Small Animal Anesthesia and Pain Management, we not only include the content of the first edition in essence, but also greatly expand on the anesthetic techniques used in dealing with patients with various diseases subjected to diagnostic or surgical procedures. In addition, we have included new drugs, monitors, anesthetic/analgesic techniques, and information made available since the first edition was published. The first edition of this Small Animal Anesthesia and Pain Management – A Color Handbook was published in October 2012. The book has been a popular anesthesia textbook among veterinary practitioners, veterinary nurses/technicians, and students alike, simply because it contains high-quality photographs on various anesthesia techniques and related subjects. The goals of this handbook, similar to those of the first edition, are to provide the anesthetist with (1) a quick information source about anesthetic equipment, monitors, drug dosages, and anesthetic techniques via high-quality photographs, flow charts, tables, and illustrations; (2) a resource for making anesthetic/analgesic decisions for both healthy and various organ-dysfunctional animals. Each chapter from the first edition has been updated, and the number of authors increased from the initial 6 to 17 specialists, to reflect the wide range of experience and expertise of practitioners in this field. Because this book is not intended to be a comprehensive or theory-based textbook, it allows the authors to be able to provide complex anesthetic information and techniques in a very precise and practical way. As the key author of this book, I hope that the reader continues to find this color handbook a useful tool when practicing anesthesia and pain management.